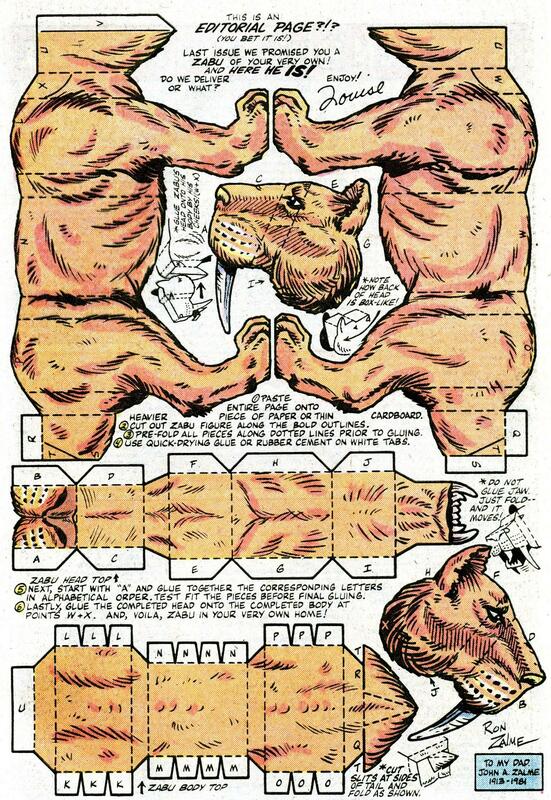 Last year we shared a page from Ka-zar that empowered you – with the miracle of primitive, analog technology – to Make Your Own Sabretooth Tiger. 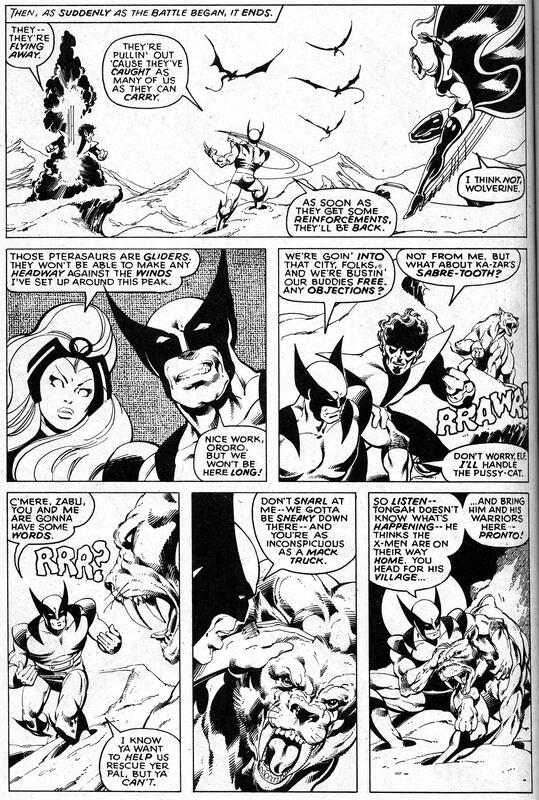 But you know, we just couldn’t bring ourselves to cut up our only copy of Ka-zar #18. Not until we found another copy for 33 cents in the bargain bin, that is! Now Zabu can hang out on our desk, making every day a day in the Savage Land. Prehistoric Mammals of Young Earth: Creatures of the Grasslands! 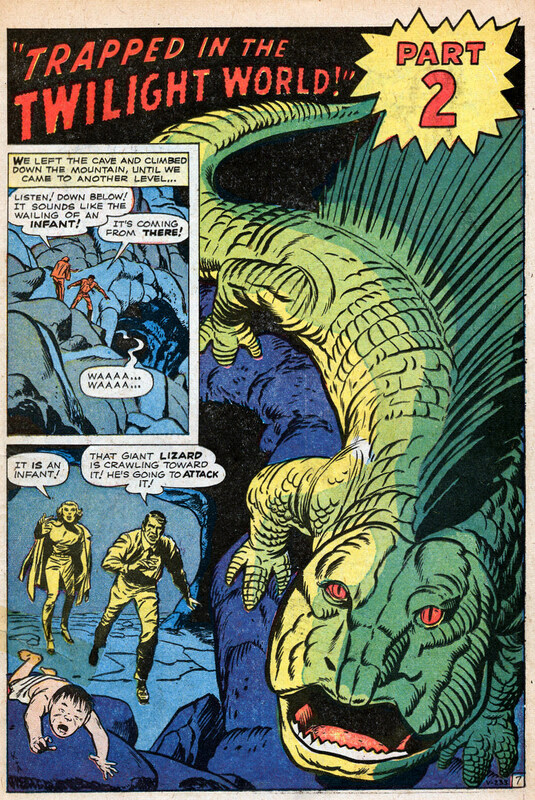 No collection of pure dinosaur comics is complete without the mother of all dinosaur comics, Young Earth! You will find included with today’s four-page tale Creatures of the Grassland the single page The Misfits. 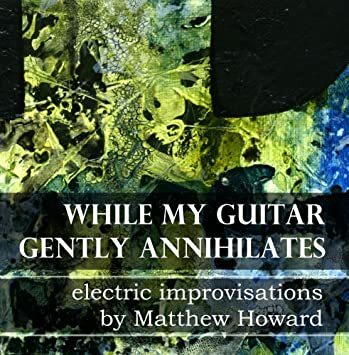 No, not Glen Danzig’s old band! 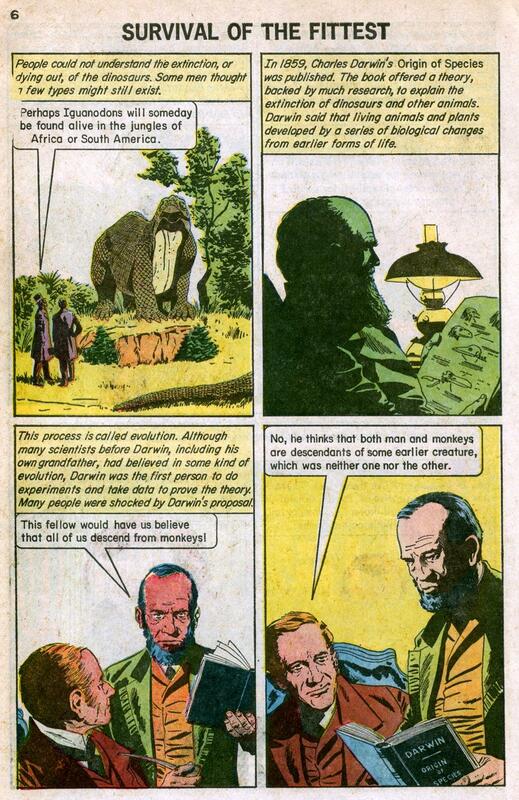 We’re talking about Titanotherium and Megatherium! 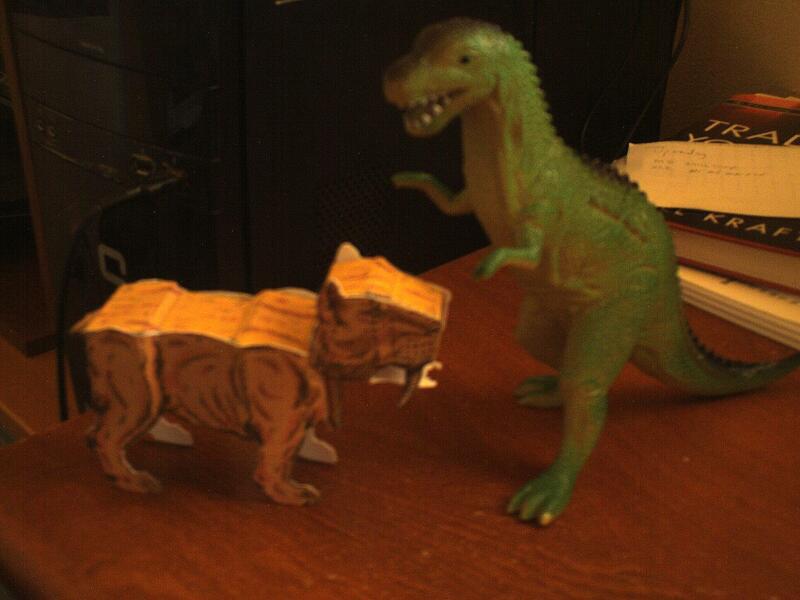 With special guest appearances by Glyptodon, Smilodon, Alticamelus, Promerychochoerus, and more! What’s with all the -theriums? Therium comes from a word that translates as ‘beast.’ And we don’t mean that in the somewhat monstrous connotation it carries today. It’s just a synonym for animal – as in, birds and beasts. So, MegaTherium = big beast; BrontoTherium = thunder beast; BaluchiTherium = uhhh… still working on that one, folks. And that wraps up our presentation of the complete prehistoric mammal stories from Young Earth, Turok Son of Stone issues #1-69. We’ll be back for more Young Earth with a complete gallery of the dinosaur stories from these issues. If you thought prehistoric mammals were awesome, just wait until we look at the terrible reptiles! YES! Prehistoric Mammals of Young Earth: Black and White Gallery! Today’s gallery features all of the black and white prehistoric mammal pieces from the inside covers of Turok Son of Stone, Issues #1-69: Smilodon, Mastodon, Baluchitherium, Wooly Mammoth, and the ancestor of the horse. 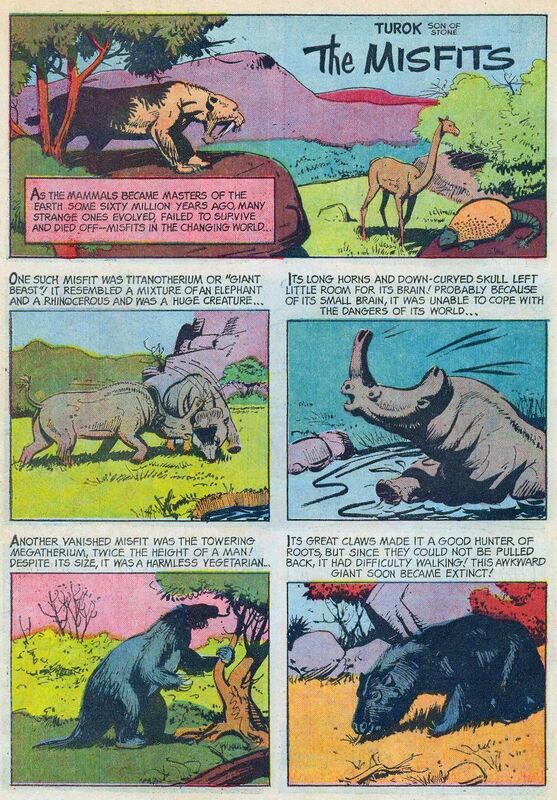 Though not labeled as part of the Young Earth full color stories, these make excellent companion pieces for prehistoric mammal enthusiasts. Enjoy and mutate!